We all know removals take a lot of planning and an essential part of that planning is hiring the right removals company in Cubitt Town, E14. By doing this early on, it can make a major difference to how well your removal day goes. That is why you should call Moving Service on 020 8746 4402 today. We can make sure you have a fantastic experience when you’re moving a home, moving from a one-bedroom flat or a detached house. We can also help you in moving your business elsewhere or if you’re a student, moving home for the first time. From a wonderful man and van service to international removals, we’re the removals firm that believes in doing things better than anyone else. This includes giving you better customer service by having employees who know how to be polite, friendly and helpful. We also believe in flexibility and this is the reason why you can take advantage of our removals assessment service. Besides, we can give you a removals process which is fine tuned so that you receive the best possible house move. It’s all part of the service when you hire our highly regarded movers. When you take into account our wonderful cheaper prices, there really is no better choice than us when you’re moving a home in Cubitt Town. The area, with E14 postcode, is situated on the eastern side of the Isle of Dogs in the East London borough of Tower Hamlets. Named after William Cubitt who was London Mayor during the mid-nineteenth century, it is an area where many of its old warehouses are now turned into luxury offices or apartments. The main road in the area is Manchester Road which runs north towards Wood Wharf and gives access to nearby Canary Wharf. The nearest railway stations are Crossharbour and Island Gardens on the Dockland Light Railway. In the southern part of the area and the Isle of Dogs is the Greenwich Foot Tunnel which gives walking access to the south side of the Thames and Greenwich Town Centre. Mudchute Park and Farm is also in the area. This green space is located at Pier street and has 32 acres which includes a working farm, education facilities, a children's nursery and stables. 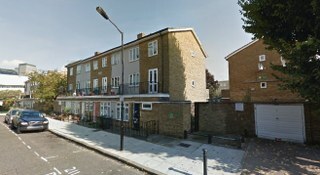 Cubitt Town Library on Strattondale Street is one of a number of excellent local amenities in the area. The district has a population of approximately 55,000. Moving Service believes in being a removal firm that is not only there for you on your removals day but is always there for you. So, you can be sure that we’ll be there on time when you’re moving a house, whether it’s our man with a van service you’ve hired or something else. Yet, we're there in the build up to your moving day, only a phone call away, which is all-important because you can find the time goes so fast and you need that little bit of extra help which we can give you. We offer wonderful value packing and unpacking services and affordable packaging and packing supplies. Whatever it is, we’ll do our best to get it for you and we can deliver it to you and make it even easier for you. As soon as you hire our movers in Cubitt Town, E14 your home move is our house move. We are dedicated to you having complete satisfaction in the removal service we provide and with the overall relocation. 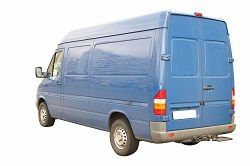 We also have other removal services such as removal van hire and removal truck hire which is very popular. As always, by coming to us you’re going to get a great price for a professional moving service, the like of which you won't find elsewhere. For your free quote, give us a call now on 020 8746 4402. We needed a company that could do an office removal for us in Cubitt Town. Called these guys up and they were in and out in record time.